Paperback, 6.75 x 9.5 in. / 608 pgs. 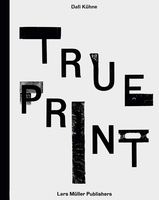 Edited by Daniel van der Velden. Bridging between design, geopolitics, architecture, and branding, Metahaven's Uncorporate Identity defies easy categorization as a monograph. The book is organized as a sequence of five chapters, dealing with data havens and statehood, post-communist architecture, visual legacies of the war on terror, tourist brands and border control, and social networks restructuring soft power, branding and governance internationally. With each chapter comprised of case studies, notes and essays, it explores visual identity in a networked and multi-polar world. 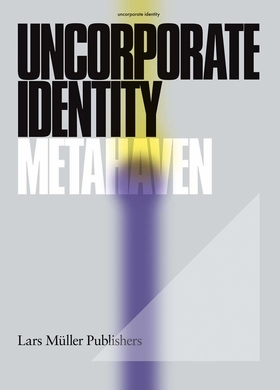 Uncorporate Identity is conceived and edited by Metahaven (Daniel van der Velden and Vinca Kruk) with Marina Vishmidt, and has contributions by Boris Groys, David Singh Grewal, Vladimir Kolossov, Keller Easterling, Dieter Lesage, China Miéville, Chantal Mouffe, Pier Vittorio Aureli, Bruno Besana, Michael Taussig, Regula Stämpfli, Mihnea Mircan, Florian Schneider, Marina Vishmidt, and others. FORMAT: Pbk, 6.75 x 9.5 in. / 608 pgs.